Many businesses have caught on to the fact that loyalty programs are a great way to retain customers and make their services stand out from the rest. The flip side of that is that there is greater competition to provide the best loyalty program. Afterall, customers only have so much space in their wallets and key rings for cards, and the way to maximize the benefits of loyalty programs is to do as much shopping with on one program as possible. In practical terms, this means that businesses need to find features that make their loyalty programs the preferred choice. Several recent studies shed light on what features matter the most to potential loyalty customers. This information can help business owners and marketers craft loyalty program campaigns that can draw in new customers and help retain old ones. One of the problems with many loyalty programs is that they are difficult to keep track of and it can be hard to redeem from them quickly. A study from Vibes found that most consumers believe that mobile phones are the answer. According to their research, seven out of 10 (70 percent) mobile shoppers have a ‘more positive opinion’ on brands that let them save loyalty/rewards ‘cards’ in their smartphone wallet. Mobile devices offer several features that make them great for loyalty programs. Customers can quickly check their points and use web tools or apps to redeem points. According to the Vibe data, nearly a fifth (19 percent) of consumers admit using their mobile device and loyalty program in such a way. Though a bit more industry specific, a different study on loyalty programs found that travel loyalty club members would often prefer retail redemption options instead of freebies and perks from the airlines and hotels. According to The Value of Redemption study from the Collinson Group, the majority of of airline club members (55 percent) and hotel club members (57 percent) want the option to redeem their points with favorite retailers. The researchers found that nearly two out of three (65 percent) of travel rewards members want better redemption options. And some of the additional findings reinforce the validity of that result. According to the survey results, 31 percent of the respondents said they ‘regularly redeem’ points on programs’ non-core inventory and just about half (48 percent) say that ‘non-core inventory’ has brought them back to a rewards program. “These findings show that travel loyalty program providers must extend their member engagement capabilities so they can cater for the changing and ever increasing expectations of their members. 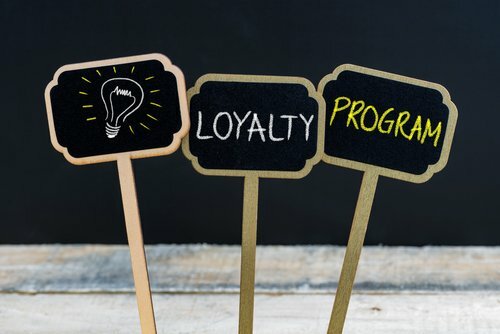 Members want their programs to provide them with experiences and rewards that suit their lifestyle so it’s imperative that loyalty program providers have an ecosystem that allows for increased engagement touch-points. 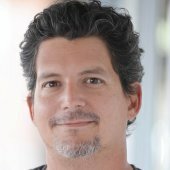 This is a huge opportunity for brands, as we all look to intertwine more tightly to our member’s everyday lifestyles,” said Guy Deslandes, E-commerce Sales Director, Collinson Latitude, part of Collinson Group, according to media reports. The takeaways for airline and hotel loyalty programs is obvious, but the Collinson Group’s research points to a universal truth about loyalty programs. The more versatile the loyalty program is, the more valuable it is for the consumer. This sentiment proved popular with the survey respondents among whom 40 percent said the value of a loyalty program decreases if they can’t redeem points in retail stores. Adding more non-company provided redemption options does increase the cost of running a loyalty program, but if it keeps people shopping at their new favorite store, it’s worth it to keep the long-term business. For more data to help business owners keep customers happy and loyal, read this article on the value of coupons in online and offline campaigns.